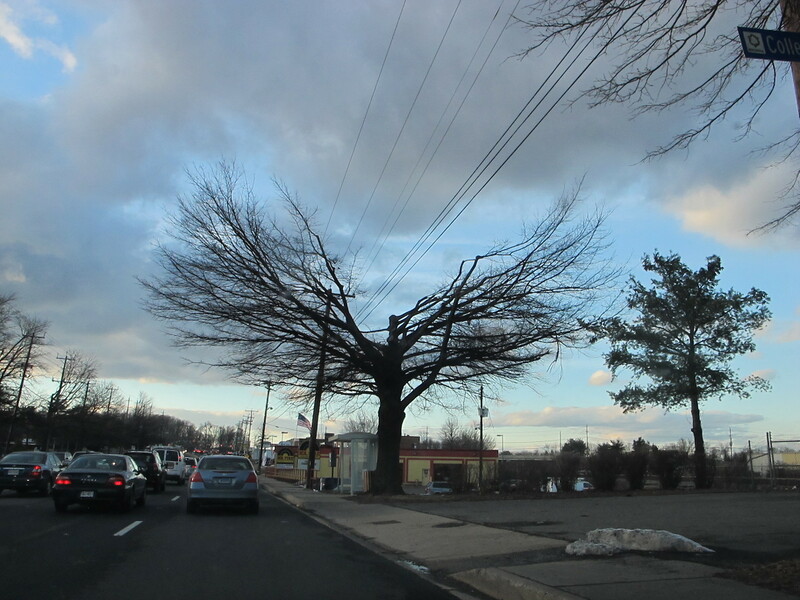 These photos were taken on February 25, 2014 at several times in the afternoon. The "Take It!" 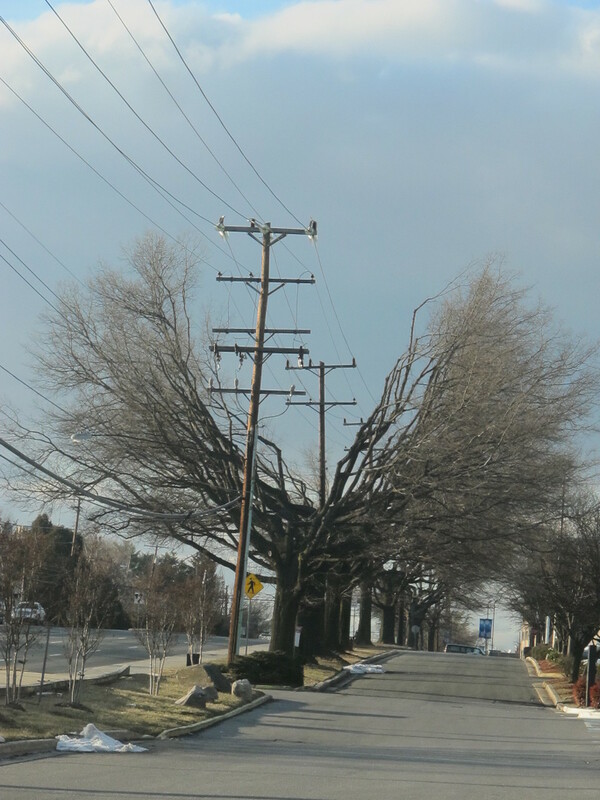 came from having yet another look in the winter time at trees that have been severely trimmed in order to accommodate power lines that pass through them. The effect from the view found with the camera is almost to give a transformation from plant life to animal. The branch arrangement almost takes on the appearance of being wings. I would venture to say, given the choice - many would opt to take flight rather than be trimmed for the rest of their lives. I think if they could vote. The very first thing they would support would be an initiative to bring underground utilities to the area. The After Take: This long time interest of mine in the shape of trees that have been subjected to this trimming when shared with others is fascinating. Most have not given it much if any thought. I cannot blame them at all for as we move down the roads our focus is to be on the road and what is happening on it to stay safe. Recognition however is immediate and interest is readily shared. The title of these photos goes to my sometimes thinking of what would I say if I were that inanimate object. Hope you are having a grand day. I have never seen anything like that in my entire life. I have heard that after they do this for awhile the trees stop growing limbs where the keep cutting them. That is really neat looking. Me either Jeff. We have palm trees out my way so there is no need fro this. What an interesting way to handle the problem of leaves in the wires. I'd be interested to see these with leaves on them.